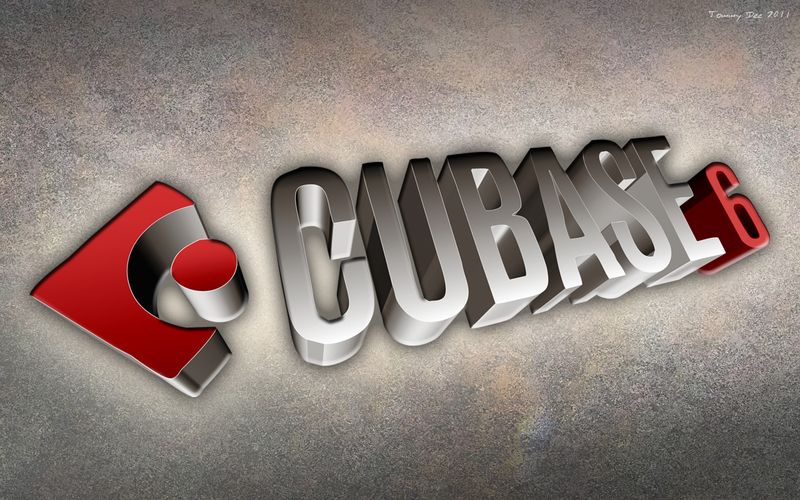 Cubase is one of the leading digital audio workstation (DAW) software programs. It gives access to everything you’ll need to to compose, record and produce a piece of music in any genre or style. It’s one of the big professional programs found in professional studios across the globe and has been a major part of the music production industry since the mid-1980s. Many of the software’s features have led to the improvement of sound quality in modern recordings, and indeed many of the new genres and styles of music created since the mid-nineties have come about thanks to the power and ability of Cubase as a composition and production tool. If you have any synthesisers or sound modules with MIDI, then you can hook them up to a computer and, using Cubase, you can record the MIDI information, put it into time, play around with the arrangement, adjust the characteristic of the sound and route the audio input into Cubase, recording it as a digital audio file (WAV, MP3, etc). If your synthesizers and modules don’t have midi, then you can still record the audio, cut it, move it around, time stretch it, change the pitch, run it through software effects, load it into a software sampler and play new arrangements with it. If you want to record a band, then get a decent multi-input sound card (audio interface) and as many mics as you can, plug into it and record the component parts in live. Then you can slice, put into time, use the gate to take out background bleed, add effects, copy and paste bits, do multiple takes and keep the best bits. Finally, EQ, compress, mix, bounce to two tracks and burn to CD are all included features. If you have a school musical to record, then let the video camera just capture all the visual bits – as that’s what it does best (and pointing Cubase at the stage isn’t going to achieve much!). Then hook up your computer, as with a band, using a multi-input audio interface and as many mics as possible so that you can record several areas of the stage and any headset or lapel mics that you are using. Then, import the video, align the audio tracks, adjust the volumes and mix down. Don’t have other equipment? Then just compose some music from scratch using the instruments, sounds, loops, samples and videos which come with Cubase 6, which cover every genre, then mix, master, bounce to mp3 and make it your ring tone. You will want a controller keyboard to trigger notes and a sound card to play the sound, but that’s all. Cubase 6 does everything you need when it comes to composing and recording audio, and it does it to a professional level. However, for this reason, it can look and feel very complicated, but don’t despair – the new version comes with a lot of very helpful introduction videos and content that walks you through the first steps of recording and producing music. You can be up and running in just a few hours. Cubase 6 Content – So, what’s in the box? Well, it’s quite a big box, and it needs to be because over 26 years Steinberg has built a lot of features and written a very long manual. I would recommend using the video tutorials instead. In theory, you can create unlimited midi, audio and instrument tracks –note that you are of course limited by the power of your computer and some of the instruments are quite demanding. Instrument tracks have a software instrument embedded into them, which is fairly new and keeps the automation together with the track which is very handy – but you can still load instruments separately and then route midi tracks to them. You can load 64 virtual (software) instruments simultaneously. In terms of physical inputs and outputs, you can have 256. You can also create 256 group channels. These are used to route mixer channels into, enabling you to add a single insert into a group of tracks, so if you want to group your drums together and compress them as one, then this is the way to do it. Cubase comes with a massive library of loops and samples. The way to access all the sounds, including those which use virtual instruments, is to go to the “media bay”. This is essentially a file browser which allows you to filter by various attributes until you have found the right sound. So you start with Category (e.g. Bass, Piano, Percussion), then Sub Category (Synth Bass, Electric Piano, Tuned percussion), then down through musical styles, acoustic character and key. Once you have the sound you want, you just double click or send it to the project window. The sounds are playable while browsing and if it’s a virtual instrument sound, you can play it on your MIDI keyboard. Amazingly, the audio loops will play back in time with your project and in the correct key! This means you can find a drum loop you like and drop it into the project, and then go back to the media bay and search for guitar loops, auditioning them against your drums until you find the right one. It doesn’t just play in time either – if your track is on beat 3 of a bar 2, it will move to beat 3 of bar 2 in the loop and start playing it. This means you can instantly be working with six or seven layered instruments that you have never heard before and that sound great together. You are, within minutes, listening to your new piece of music. Last time we took a look at what you got straight out of the box, and the basic setups you’d need to use Cubase 6 in different scenarios. Now, we’ll get a little more in-depth and see exactly what’s at your disposal when you have the software fired up. Steinberg are continually tinkering with the software instruments included within Cubase 6, most recently adding Halion Sonic SE to the existing arsenal of software instruments. This compliments the scoring side of Cubase by offering a selection of sampled orchestral models – useful for classical composition. Halion Sonic SE – A workstation-style software instrument offering a full range of sounds from orchestral, synthesiser, acoustic and percussion banks. You can make a full track using this alone, and it’s been touted as a software version of the Yamaha Motif – thinking that way, you are immediately saving yourself over £1000 when it comes to sourcing instruments. The diversity of the sounds you get and the professional quality make this one of the best virtual instruments on the market. This is only a lite version admittedly, but it certainly gives you enough to cover the basics. Groove Agent One – This is where you get your drums from if you’re planning on using only Cubase 6 to provide your compositional tools (as opposed to plug-ins). It looks like a stereotypical MPC drum machine, which is handy for giving novice users an idea of what a drum machine looks like and how they generally work. You can drag and drop samples and loops into it, and I’m happy to report that it sounds brilliant – much better than any of my hardware drum machines. Prologue – This is a subtractive synthesiser good for lead synths and stabs; resonant sounds are easily created too. Subtractive synthesis is one of the stalwarts of electronic sound generation – the analogue synths from Moog use this method – so it’s safe to say you’ll be able to craft that soundscapes you’re after without fuss. Spector – The Spector’s main feature are its spectrum filters, which can be drawn in with your mouse. It gives a unique insight into how comb filters work to create very different and unique effects on the audio signal. Mystic – This instrument combines physical modelling and comb filters to generate some very surreal soundscapes. It’s great for film scores or alternative music…or for just sitting around and playing with in the early hours. Monologue – A straight up monophonic modelling synth for rich Moog-style bass and lead tones. This synth has a lot more to play around with in terms of your classic synth controls, and is a good place to start when figuring out and experimenting with oscillators and filters etc. Loop Mash 2 –It’s a bit of an odd one, this. It’s a serious head-turner for those students and home users who are perhaps not too confident musically, and will have even novice users immersed within an instant. It’s essentially a completely different sort of program – a loop player with a massive amount of dynamic control and manipulation. The concept is that you load up to eight different loops (it will time stretch them into tempo with your song), set the ‘master’ loop (which determines the major hit-points and rhythm of the subsequent “mash”), and by changing the sensitivity and the interaction level slider on each loop you determine how each track interacts with the master loop. The outcome is a new loop, derived from the combination of the loops you have loaded, with volume and timing of each individual’s inclusion in the mix being determined by the volume of the audio in each one, the sensitivity you have assigned it and the position of the interaction level slider. Brilliantly, you can use you MIDI keyboard to trigger the various new loops you have manufactured into a new piece of work, which can then be recorded as a standard midi part. There are also loads of beat mashing effects that can be triggered via the keyboard too, and while it takes a while to get your head around it, you’ll end up with some fantastic results. One of the main joys of digital music production are software effects. Okay, so some will say you can never replicate the nuances of hardware, but Cubase gives you unlimited compressors for free, and that’s not to be sniffed at. Quite simply, the advantages of software effects is that they do the job and can be used them on as many tracks, simultaneously, as you like without bouncing your tracks down. I generally do all my writing, engineering and mastering simultaneously and then bounce to two tracks and onto CD. So, even after I have my finished piece of music, if I want to change a segment, add a new bit in, or someone says “can I spit on it”, I can just go in and make those adjustments and in minutes I’ll be burning a new finished CD. Cubase 6 has over 60 effects and processors to choose from, so you can cover every aspect of EQing (parametric and graphic), filtering, chorus and flange, delays, phasers, compression and dynamics, modulation, reverb, and distortion. “Pitch Correct” which uses all of Cubase’s new analysis and pitch shifting technology to correct vocals or monophonic instruments. “Multiscope” which gives you a graphic representation of the frequencies that are currently playing. This is a good teaching aid when it comes to working with EQing and filtering, as it gives you a graphical representation of what you want to EQ or what you have EQ’d. Plug-ins are added into slots on the mixer and can be either sends or inserts. Inserts can also be added pre-fader or post fader, too, so you can teach everything you need to know about the signal path and how your good ol’ hardware mixer works. Ultimately, Cubase was designed for midi sequencing, but these days sequencing has gone beyond midi (although you can still use midi CC data, of course) and Cubase handles a lot of old CC information quite differently. However, the old and universal midi techniques are still very much part of Cubase but thankfully without the old days of timing issues, dropped notes and blue screens of death. Cubase is rock solid. New styles of automation and Note Expression, through VST3.5, have revolutionised midi sequencing, and there are important aspects here that are going to become essential tools for future music production and that are currently only available on Cubase 6. Most notably, (‘scuse the pun), Note Expression allows you to embed automation information within a “midi” note. I call it “midi” because I don’t think we can officially class these as “midi” notes anymore – Cubase 6 has finally broken beyond this 1980’s standard and in doing so, they have broken away from the competition. Cubase has been able to convert MIDI sequences to score and vice-versa for a very long time, and is ideal for musicians in the film industry, who need to work with notation and play back films whilst composing – Cubase will import any standard digital movie file. The notation aspect has been vastly improved in Cubase 6, surprisingly making it a worthy adversary to Sibelius, with expressions now possible. With the inclusion of Halion Sonic SE to provide an Orchestral soundset (although you should look into HALion Symphonic Orchestra if you want to seriously compose and produce orchestral pieces), it becomes quite the formidable package. Cubase 6 is so advanced that you can now take an audio recording of a flute, for example, and convert it to midi, including any articulations within the midi information. You can then print this out for lessons or send the midi to a VST3.5 instrument and play it back. An integral part of producing music, especially bands, is to multi-track record. Big studios will have each musician in a separate room and record their parts on to separate tracks. Smaller studios will record each part and layer them up to produce the same desired result – to have each instrument recorded onto a separate track so that you can EQ, apply effects and processors to them individually and then mix them together. This is a major part of Cubase, and being able to automate the functions of the mixer and effects means that using the software to do this is so much easier. Cubase 6 also has a new feature specifically targeted at drums that allows you to quantise (put into time) audio files without cutting the events and moving them around. You simply set a hit-point threshold and an accuracy level and it then puts the drums in perfect time (or according to any specified groove). Another new feature allows you to record multiple takes and group them together on a single track using “lanes”. Then you can slice the takes simultaneously, calling up the takes you want to work on by simply clicking on them. Automation has become so powerful that very little has to be done in real time or “on-the-fly”. These days you don’t record the synth as you perform a filter sweep, you just record the act of doing a filter sweep and then edit it to perfection. Similarly, you don’t record fading a track in, you record the act of fading it in. Cubase handles automation of any settings of any virtual instrument, plug-in or part of the mixer. Any producer will need to know the ins-and-outs of automation as it is so powerful, and is how they achieve such high quality recordings. Firstly, what is Vari-audio? Well it’s a process in Cubase 6 that allows you to analyse, correct and edit the pitch of a vocal or monophonic instrument part with virtually no artifacts. The first part of the process analyses the file and puts a layer over the top of the audio wave. This layer shows the actual pitch graph of the audio mapped against a keyboard, as well as drag-able chunks of audio. Using Vari-audio you can drag vocals about as though they were midi notes, to the pitch and timing you want. You can also reduce unwanted vibrato and, of course, just have Cubase correct the pitch in keeping with the scale you are using. A serious advancement means that in Cubase 6 you can have the project tempo match that of an imported or recorded track – and it doesn’t have to be static either. The selected track will need to have identifiable rhythmic content, of course, but if your piece of music changes tempo and has a drum part, you can have Cubase 6 analyse the drum part and adjust the project tempo accordingly. As you edit and add the other parts you’ll be able to quantise to the rhythm of the selected drum part. This also has an impact on the notation side of Cubase, as you are now able to chop and change tempo using the standard methods of notation, and all parts will snap into time (if requested). It’s hard to think of an aspect of music composition and production that isn’t encompassed in Cubase. It’s been around for 26 years in various forms and has been one of the two most popular DAW’s for most of that time. It will certainly remain one of the top music production programs for many years to come too, so you’ll be giving your students a sound education on a program they will find in most top studios. There are elements within Cubase that allow teaching from a basic introduction to the very highest level of music production. The look and feel of the program grabs attention these days, too and the instrument and loop content plays a big part in bringing those who have no music training into the classroom, with relevant and current sounds which help you quickly, easily and intuitively compose an original piece of music. Ultimately, you need look no further than Cubase 6 when writing electronic music, pop music or classical music and recording and mastering any form of music – it’s quite the package.